Tony Valentine, that specialist in catching the con men who swindle casinos, has a problem. Kat Berman, the wrestler he hooked up with in Funny Money (2002), has been seeing her ex-husband on the sly, and Tony’s left at loose ends. 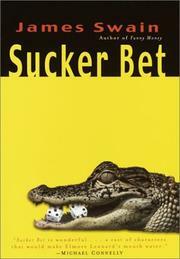 He doesn’t want to deal with Jacques Dugay, whose South African casino keeps coming up with new ways to lose money, or with Bill Higgins, his friend who heads the Nevada Gaming Control Board, or with Harry Smooth Stone, security chief for the Micanopy Reservation in Broward County, who wants to get the goods on a card mechanic named Jack Lightfoot. When his neighbor and sometime business manager Mabel Struck insists that he choose one, Tony opts for South Florida. It’s a great choice, not because the job will be easy—Lightfoot is already dead when he arrives, and Harry knows too much about it for comfort—but because it aligns him even more firmly than his two earlier cases with Carl Hiaasen & Co. If Swain doesn’t have the whiplash control of his carnival that Hiaasen shows at his best, he’s certainly got enough zany headcases to go around, from Nigel Moon, the aging rocker who’s the target of an unusually intricate scam, to murderous hoodlum Rico Blanco, who’s out to touch bookie Bobby Jewel for a monster score, to Mr. Beauregard, the monkey who plays the ukelele, to the nameless alligator Tony finds in the backseat of his car. As much fun as a magic show, even though there’s a tiny letdown each time the magician shows how he pulled it off.